Gabby is often one of our earlier risers, and lately when I would peek my head over the edge of the bed, I’d find her intently running her right index finger beneath printed words, attempting to sound them out. In the wee quiet hours of morning, before the sun had yet fully made an appearance, that little girl took my breath away. Sitting there all on her own, diligently trying to make sense of the letters, determined to read a book. Oh this child’s spunkiness…it wipes early morning crankiness clear away. That little finger running left to right. Her lips silently forming the sounds. because I just knew in that moment that she wanted it. She wanted it all for herself. Gabby would realize I was fully awake and immediately inquire about a word she could not quite decipher. I began finding her in different locations throughout the day, sitting with a new book pinned open beneath her right knee, precious finger running along. 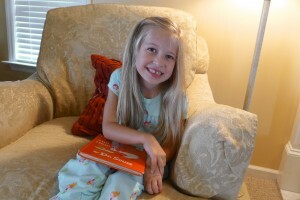 When I’d read her bedtime story, she suddenly insisted on reading parts of the book to me. 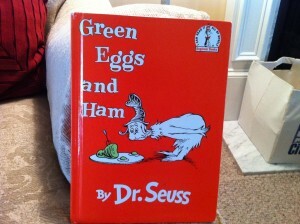 We read ‘Green Eggs and Ham’ together one day before her nap. Then I found her practicing it on her own every time I turned around. Head bent, little finger tirelessly keeping her place. She came into my bedroom one evening last week with that orange Dr. Seuss book tucked beneath her arm. She opened the familiar pages in front of me and and pointed to the word ‘Thank’, sharing how she can never get that one right. 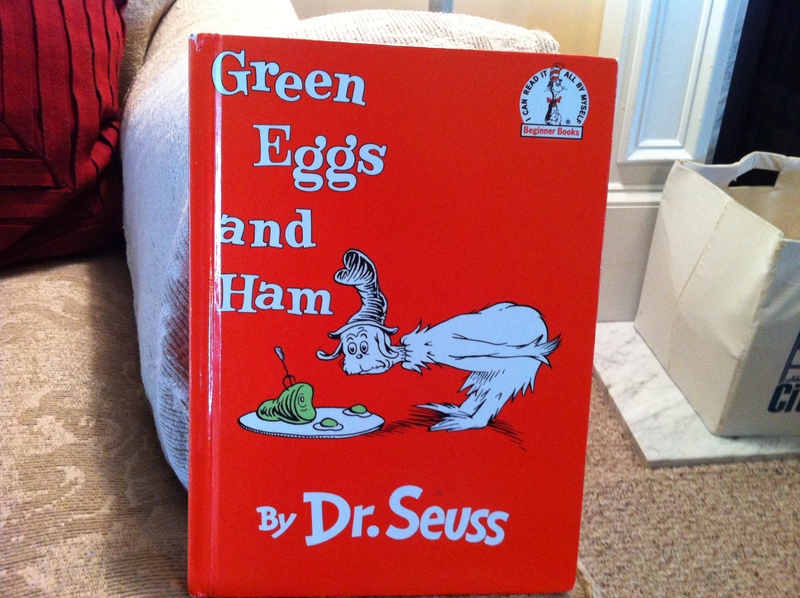 “I can read this book,” she plainly stated. Oh she was so proud. She hardly missed a word of that entire book. She was beaming. And as I sat there listening I recognized all the hurdles she had overcome. I understood the odds she had fought back against. I knew this to be yet another milestone, a miracle really. I thoroughly basked in that moment, filled with so much gratitude and joy. Knowing the very thing I had wanted more than anything, but was afraid to dream or hope for, was coming true. Here she is reading ‘Daddy’ her bedtime story that first night, in the middle of the chaos that is our house on a normal evening. 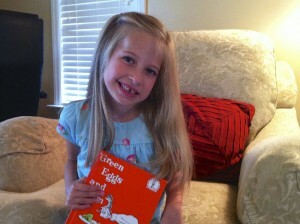 Gabby Reads!! from Kelly OMelia on Vimeo. So wonderful. I’m impressed she wasn’t even slowed down by all the activity around her. Praising God with you! The video brought tears to my eyes! Wahoo!!!! !